The beige and blue tones of this floral metal wall hanging will add a subtle touch of colour to a neutral wall. The centres of the flowers are made from clear acrylic, suggesting water droplets, dew or frost; a gentle touch that brings this floral wall art to life. 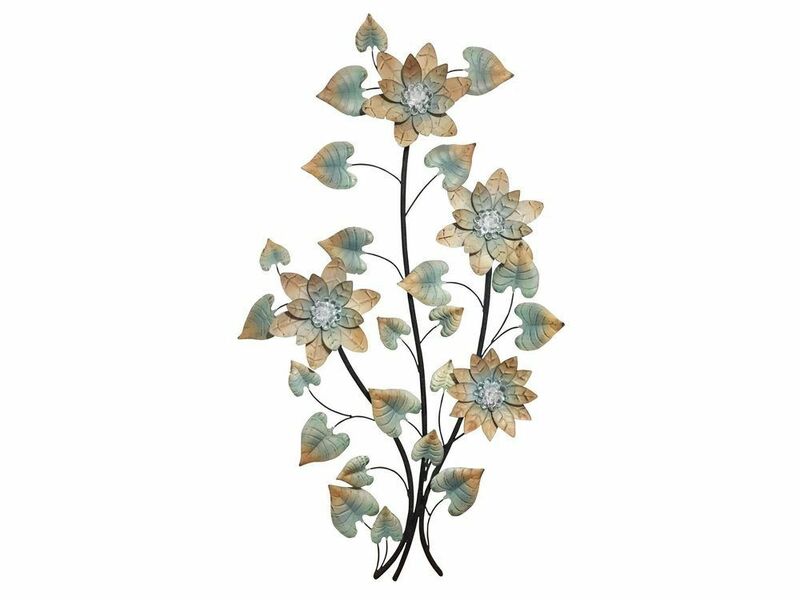 With dark metal branches spreading to hold the textured blue and beige flowers, this wall decor will be a tasteful touch in any room.